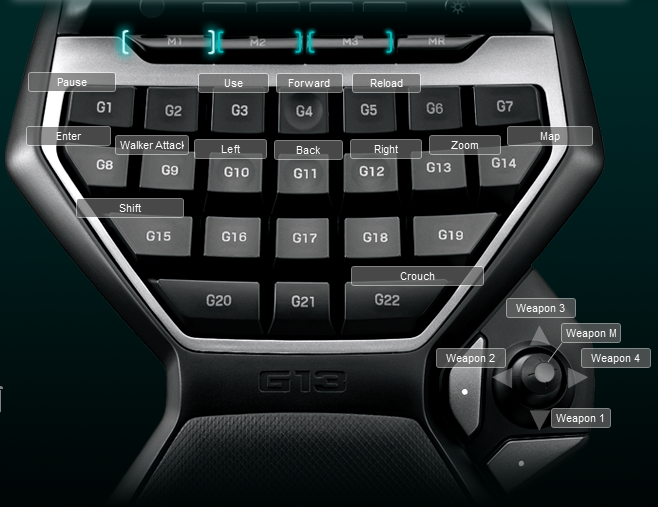 The Logitech G13 has no default profile for Red Faction Guerrilla. I created a Red Faction Guerrilla Logitech G13 Profile just because I started playing today and I needed a profile. There are not a lot of keys in Red Faction Guerrilla, but the layout in the screenshot below worked for me and didn’t require a keyboard.